Dana, the daughter of a singing evangelist and a faithful choir member, was born and raised in Wichita, Kansas. She began her ministry at the age of 3 years old while singing solos standing on a box. At the age of 11 Dana got her first experience in the recording business with the National C.O.G.I.C. Sunshine Band which did a live recording in 1992 under the leadership of Dr. Iris Stevenson. During her teenage years she would be known throughout the churches of Wichita, Kansas as “the songbird”. At the ripe age of 21 God sent out a clarion call unto Dana saying “leave your family and move to the big city of Dallas, Texas and allow me to prepare you for a greater work”. Upon her arrival to Dallas, God began to divinely order her steps to meet and connect with some of the cities most anointed local gospel artists’. In addition, churches all over Dallas began to request that she minister through song in their services. In January 2007 Dana was respectfully nominated for “New Female Artist of the Year” at the “Texas Gospel Music Awards” and in January 2008 she was nominated for “Female Soloist of the Year”. She has opened up and shared the stage with John P. Kee, Kim Burrell, Vickie Winans, Fred Hammond, Dr. Rance Allen, Dorinda Clark-Cole, David & Tamela Mann, Myron Butler and many more. “I look forward to seeing you in the industry” were the words of Kirk Franklin as he experienced her at a Coz Records Showcase. 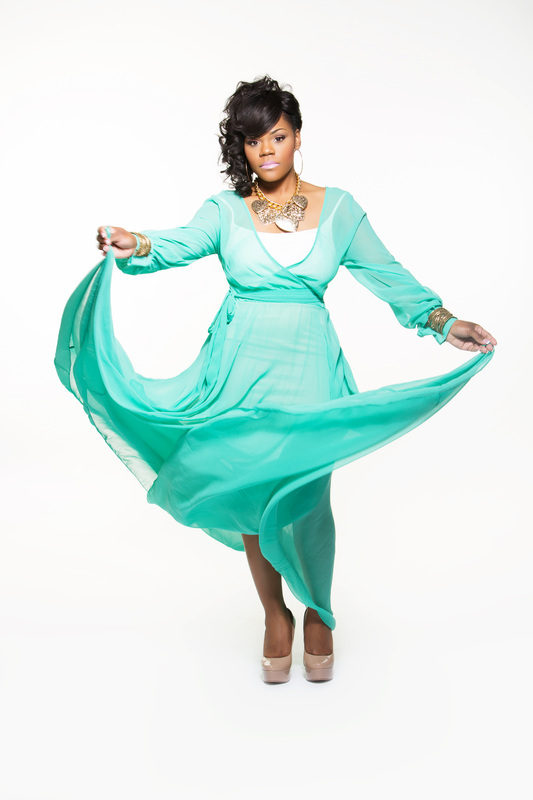 One of the current producers on her debut album, Grammy and Stellar Award winner Myron Butler, states “Dana Hemphill is an anointed minstrel. Not only is she extremely gifted, but she possesses the Spirit of God. She is destined to do great exploits for the Kingdom of God”. Dana has been commissioned to “SING the Gospel to the poor and to heal the brokenhearted, to SING deliverance to the captives, and recovering of sight to the blind, to set at liberty them that are bruised”. Dana has truly been anointed for a time such as this, as Kim Burrell bears witness at the Vickie Winans Rising Star Tour by saying “I truly appreciate the anointing on your life”. Dana is currently the Director of Worship at the fast growing, Koinonia Christian Church, in Arlington, Texas. Her debut album will be released October 19, 2013. Dana has one daughter, Hailey, and is married to Elder Lewis H. Hemphill Jr. and they enjoy working for the Lord as a tag team ministry. Want to leave a message for Dana Hemphill? We'll post your comments right here! SoulProsper Media Group is elated to partner with this dynamic ministry to bring the gospel message to the masses through song!